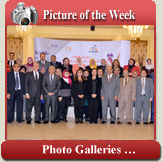 Welcome to the Fayoum Faculty of Nursing website! It offers a window into the programs and people of this remarkable institution. The Fayoum University Faculty of Nursing aims to prepare highly qualified and sought after nurses and paramedics who are able to compete in the labor market. The Faculty comprises six academic departments: Medical Surgical Nursing Department, Maternity Nursing Department, Pediatric Nursing Department, Psychiatric and Mental Health Nursing Department, Community Health Nursing Department, and Nursing Administration Department. We hope we meet your needs of data and information. Also, we hope we highlight all related to the faculty and its different departments.